THIS BOOK IS PART ONE OF A FOUR-PART SERIES. Sutherland Smith moves to Las Vegas to escape the ennui of life in a small town. Once there, he discovers that the rumors that his cousin, (with whom he moves in), is on drugs are true. He decides to see what that ism is about. 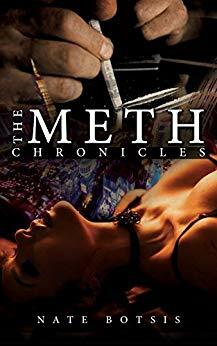 He gives meth a sniff to see if it can help cure his boredom. It works pretty well, especially when mixed with the ambience of Las Vegas. So he asks his cousin where she gets her meth, and she introduces him to Baron Rudolfo de la Palma, a man whose name is a lot more glamorous than he is. In fact, Baron Rudolfo de la Palma might be said to be the antithesis of glamorous, the last man you’d think of when you think of Las Vegas. But he had that hoover. (That’s the pet name Sutherland gives to his meth.) And that’s all that matters. As much as Sutherland enjoys being high in Vegas, cruising around with nothing much to do, he recognizes that he is not a man of independent means, and that he must face the unfortunate reality that he better find a job soon or else he will be headed right back to the small town from which he came. He would hate to do that, because he sees so many fine women in Las Vegas with whom he’d like to share the hoove D. (His new discovery. Based on hoove.) But he won’t get the chance if he doesn’t find a way to stick around. Yep. He’d have to get a job all right. THIS BOOK IS INTENDED FOR MATURE AUDIENCES DUE TO EXPLICIT LANGUAGE AND CONTENT. Free on Kindle.